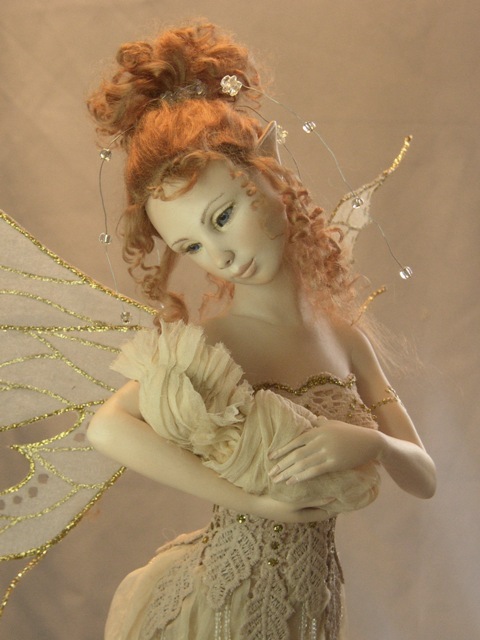 Hannie Sarris was a truly gifted doll artist from the Netherlands. 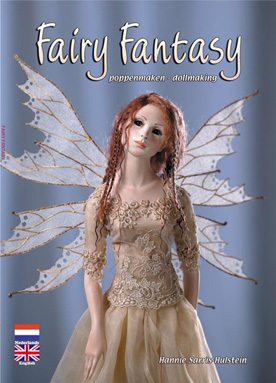 I love looking at her doll pictures, as they are really magical and have something secretive about them. I think she really knew well how to work with paper clays.I think she mainly made fantasy figures. What I like about her is not only her style, but also the fact that she was a self-taught artist. 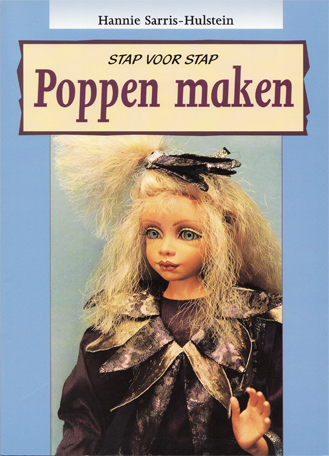 Hannie Sarris was so good at doll making, that she was also a member of DABIDA, a dutch and belgian institute of doll artists. The institute promotes doll art of its members through the website and shows the work of DABIDA members together on shows, exhibitions and art related events. They also organize a DABIDA Annual Doll Award. Last but not least, they have a special DABIDA day once a year. Artist members show their pieces of art in a nice ambiance. They usually invite a famous doll artist as special guest. Actually, I recently read on their site that there’s also an Hannie Sarris Annual Doll Award 2014. Please check their website to check the details. ” La Doll from Padico is sold in packages and is ready to use. 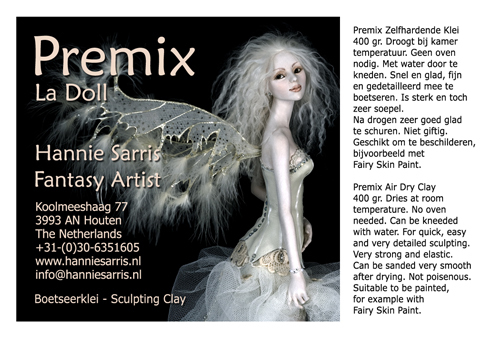 This clay is smooth and has a fine structure, so you can work with it very easy. It doesn’t crumble, so you can easily cut of little pieces. You can model with it as well as sculpt and carve. It is the perfect material to make fine and detailed work. After drying you can sand it very easy, so your work obtains a beautiful smooth skin. One disadvantage of La Doll is that very thin pieces like toes and fingers quickly break . When you open the package of La Doll, it might be a bit tough, and when you take a piece off, you can see some fibers, this is normal. Sometimes the clay smells a bit. 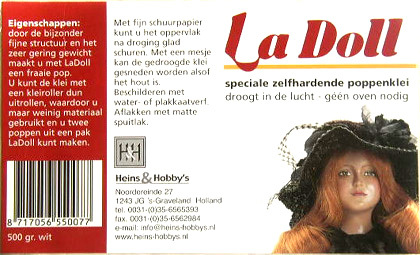 “Premier is a rather new clay, made by the same manufacturer of La Doll, Padico. It is sold in red packages (see picture) and is ready to use. It is very light and has a fine texture, is almost without any smell. You do not have to kneed it at all. Premier is rather firm, keeps its shape very well and can be used to sculpt very small and detailed. This clay does not stick on your hands, something that many people will experience as pleasant. It has a rather long drying period, what gives you opportunity to keep working on it. After drying it is very strong, stronger than La Doll. You can easily cut pieces of, without the risk of crumbling. You can sand it very well, because of the fine structure. 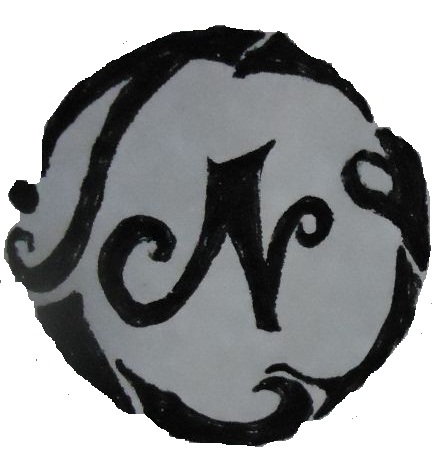 Because of the white color, this clay type is very suitable for several painting techniques. Phew, that was a lot of information! Please make sure you check out her site to see her artwork. (A lot of you will know her already). I just felt like I wanted to give a bit of information about her, to introduce her to those of you who haven’t heard of her. If you like paperclay work, you should definitely have a look. Hannie Sarris passed away on May 2nd, 2010. She will remembered through her beautiful art work.